What is that bird? Pros and cons of the interpretations of Lapita pottery motifs. While Lapita pottery has fascinated researchers for more than half a century the interpretation of specific designs remains a difficult task that has only been rarely undertaken due to the speculative and contentious nature of such analysis. Here I attempt a tentative interpretation of a design that may help in the analysis of Lapita motifs. The example used is a relatively complex bird-shaped pattern, unidentified so far in the Lapita period, which it is argued may represent a number of specific species. Noury, A. (2017) “What is that bird? Pros and cons of the interpretations of Lapita pottery motifs.”, Journal of Pacific Archaeology, 8(2), pp. 79-87. 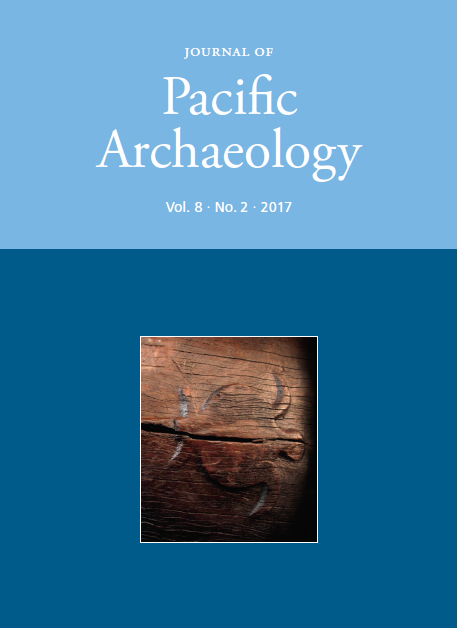 Available at: https://www.pacificarchaeology.org/index.php/journal/article/view/199 (Accessed: 22April2019).